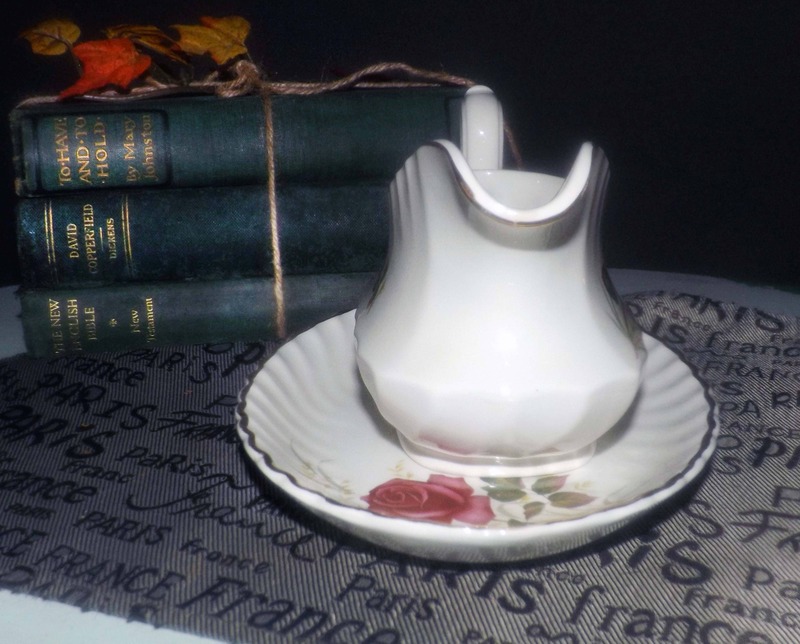 Vintage (1960s) Ridgway Anniversary Rose gravy boat with oval under plate. Bright red rose, greenery, swirled body, gold edge and accents. 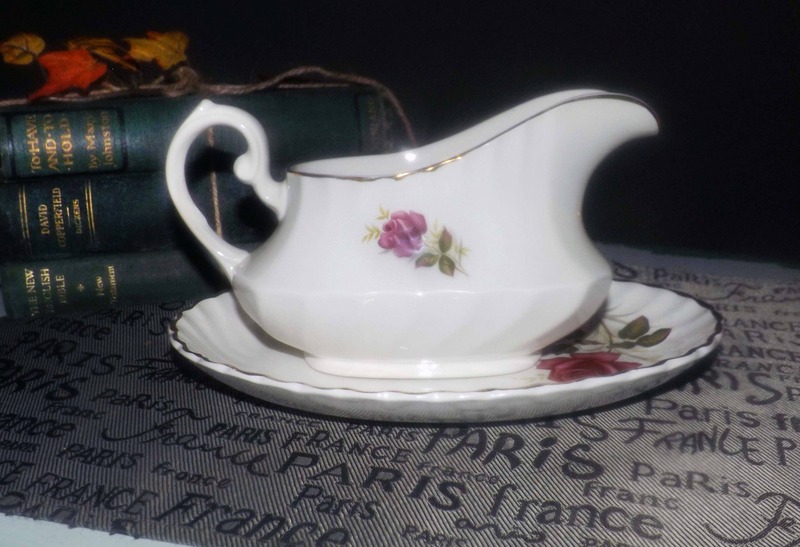 Vintage (1960s) Ridgway | Ridgways Anniversary Rose pattern gravy boat with matching, oval under plate. 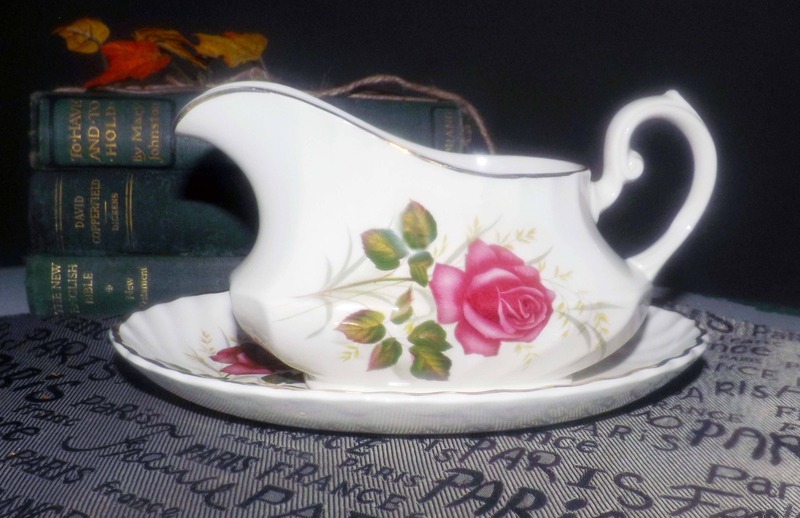 Anniversary Rose, as the pattern name suggests, features a bright red rose bloom on the stem with greenery on both sides of the gravy boat and on the side of the under plate. The pieces have a swirled body shape and a scalloped gold edge and accents. 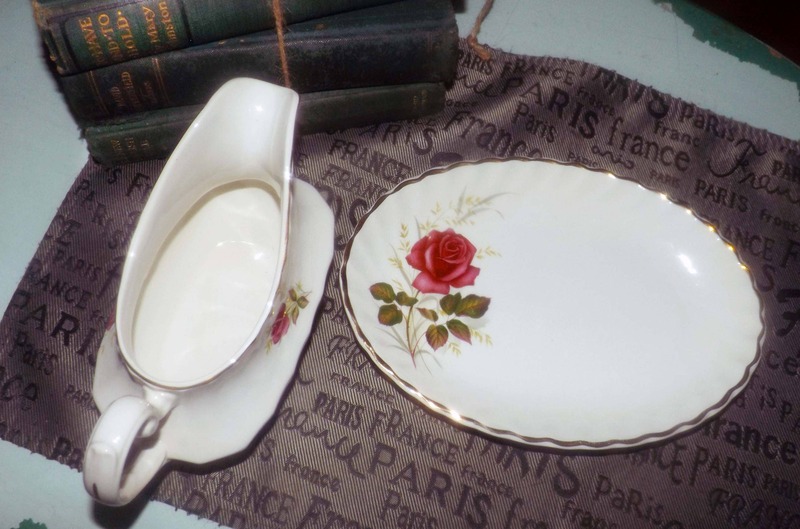 A very hard-to-find piece for your Anniversary Rose service, this gravy boat and under plate are both in EXCELLENT! condition with NO! chips, nicks, cracks, or fleabites, LITTLE TO NO!! crazing, LITTLE TO NO! loss to the gold edge or accents and NO! marks, stains, scratches or other signs of use or wear. The red roses and greenery are bright and vivid with NO! fading apparent. 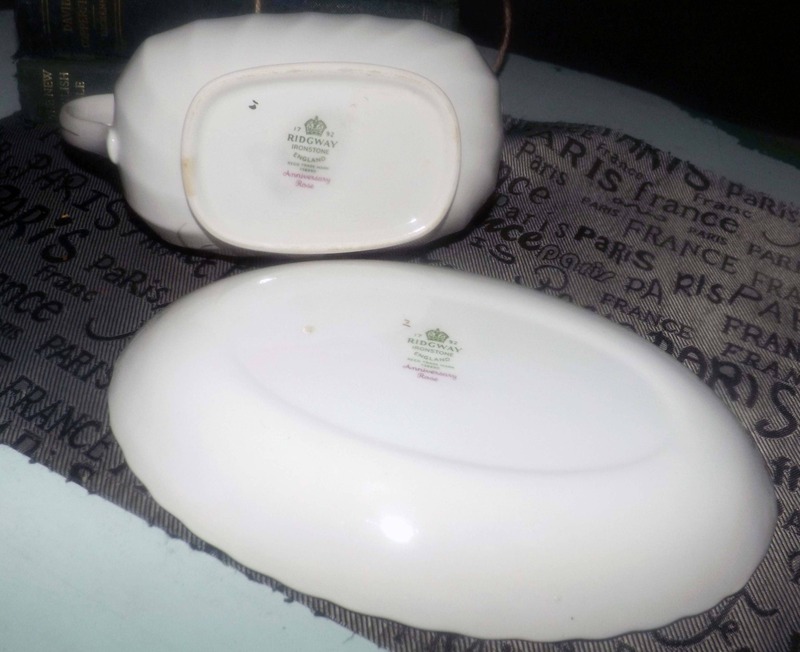 The inside of the gravy boat is spotless - just clean as a whistle! Approximate measurements: gravy boat is 8" across (handle to spout) x 5" in height | matching, oval under plate is 9" in length x 7" across. Both pieces have a scalloped, gold edge.